Available in Fire Rated and Non Fire Rated models. With interior or exterior applications, they provide easy admission to maintenance, controls or emergency measures via openings in walls and ceilings. Manufactured from galvanized steel sheets with a powder-coated finish or from stainless steel, available in flush and recessed types. 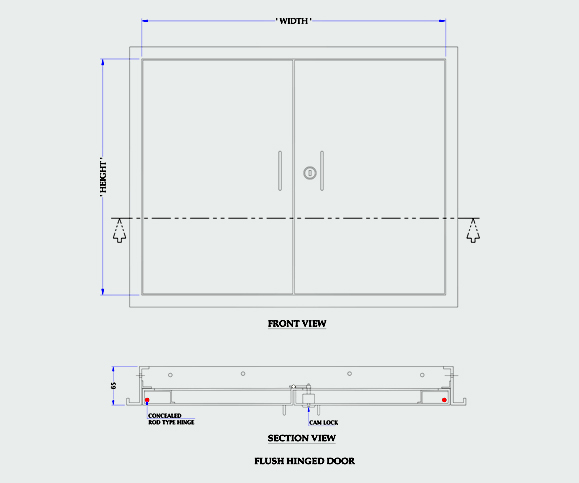 Wall Access Panels, FR series have been tested for fire resistance as per BS476 : Part 20 : 1987 and BS476 : Part 22 : 1987 by Chiltern International Fire Ltd, UK and are rated for 120 minutes usage on fire barrier walls. 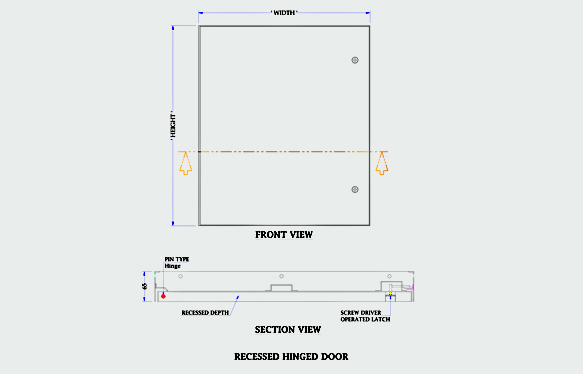 Recessed Access Panels are designed for installation on walls where it is required to conceal door panels with infill of the surrounding material. 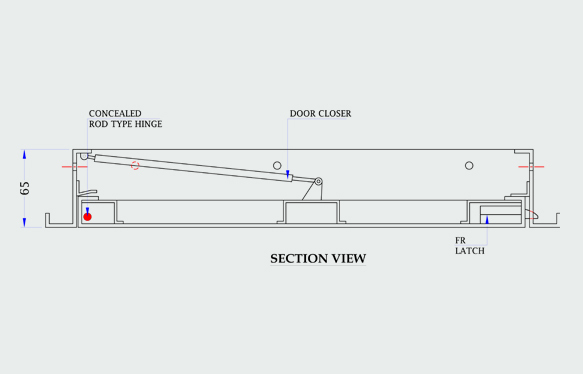 Recessed access doors can also be provided with fire rated gypsum board or calcium silicate boards, for use in fire barrier walls or ceilings. 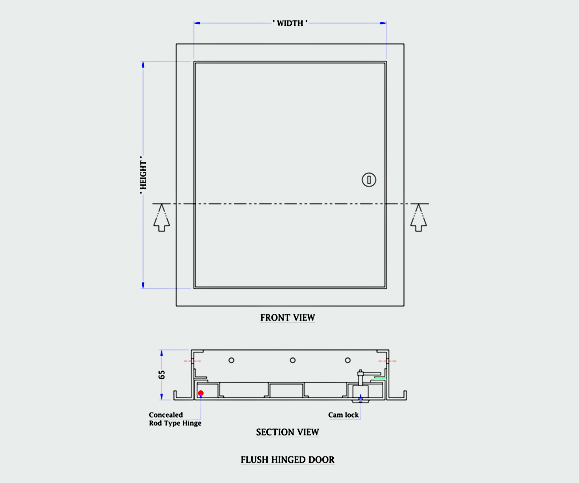 Stainless Steel Access Doors - Flush Type are designed for installation on masonry walls, dry walls, tiled walls etc. These doors are lockable and come with concealed hinges. 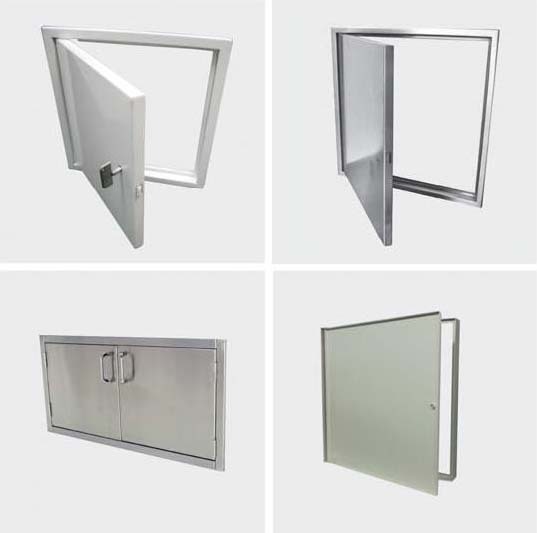 Stainless Steel Access Doors Multi Leaf - Flush Type are designed for installation on masonry walls, drywalls, tiled walls etc. These doors are lockable and come with concealed hinges.